This documentary from The FADER takes a closer look at the rapper’s life. Valee is an exciting rapper from Chicago, giving new life to the creativity of rap and rising in notoriety with tracks like "I Got Whatever" and "Dim Sum." The recent G.O.O.D. Music signee released an EP at the beginning of March titled GOOD Job, You Found Me. In this documentary, from The FADER, Valee shares more about his creative process, and the challenges of being creative in Chicago. 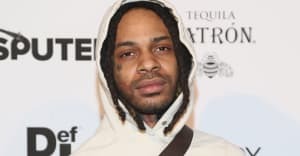 "I wanted to show you what a day in the life of Valee looks like," Valee told The FADER about the documentary. "It's how we make our way around town. It's how I create, it's how I live." You can watch the full documentary above, and revisit his interview with The FADER here.